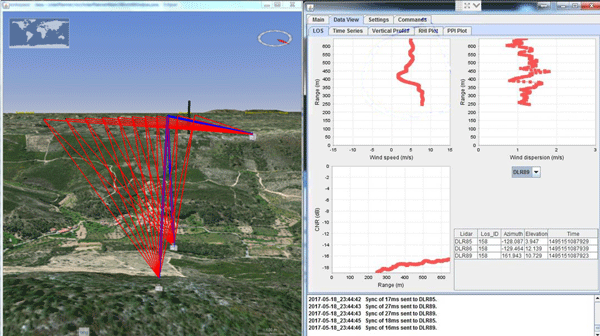 The Perdigão field campaigns probed atmospheric flow in and around a double-ridge valley in Portugal equipped with one turbine, collecting data critical for improving fundamental insights into flow in complex terrain as well as methods for quantifying wind resources. While the Perdigão 2015 campaign pioneered coordinated scans from three scanning lidars, Perdigão 2017 included an unprecedented array of instrumentation, including 30 scanning and profiling lidars to map the valley's atmosphere. An array of approximately 50 towers, equipped with sonic anemometers and ranging in height from 10 to 100 m, provided in situ measurements to measure air flow and turbulence. Radiosondes, thermistor arrays, microwave radiometers, and an Atmospheric Emitted Radiance Interferometer (AERI) measure temperature structure. Acoustic measurements, seismographic measurements, and tethered systems measuring high-rate turbulence data also provide unique insights into the numerous flow phenomena observed in the valley. In addition to studying complex terrain effects on the wind resource and wind turbine wakes, the Perdigão data enable insights into interactions between flows of different scales, effects of topographic and diurnal thermal forcing, valley/slope boundary layers, and recirculations within the valley. This special issue is open for all submissions within its scope, addressing measurements, simulations, and case studies from both Perdigão field campaigns. Wind gusts are a key driver of aerodynamic loading, and common approximations used to describe wind gust behavior may not be appropriate in complex terrain at heights relevant to wind turbines and other structures. High-resolution observations from sonic anemometers and vertically pointing Doppler lidars collected in the Perdigão experiment are analyzed to provide a foundation for improved wind gust characterization in complex terrain. 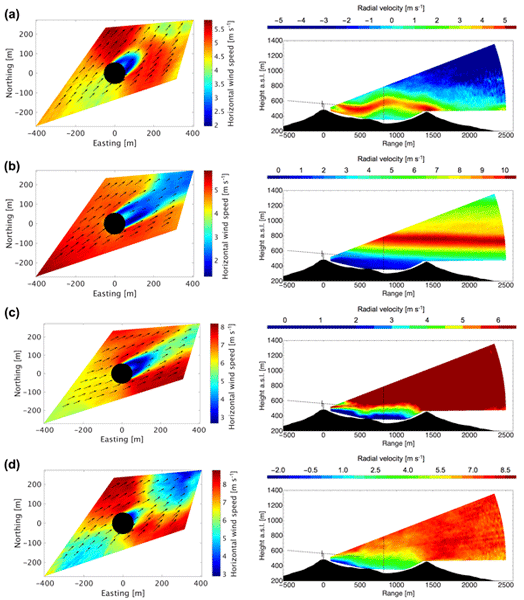 This research utilizes several months of lidar measurements from the Perdigão 2017 campaign to investigate flow recirculation zones that occur at the two parallel ridges at the measurement site in Portugal. We found that recirculation occurs in over 50 % of the time when the wind direction is perpendicular to the direction of the ridges. Moreover, we show three-dimensional changes of the zones along the ridges and the implications of recirculation on wind turbines that are operating downstream. Wakes are low wind speed volumes of air downwind of wind turbines. 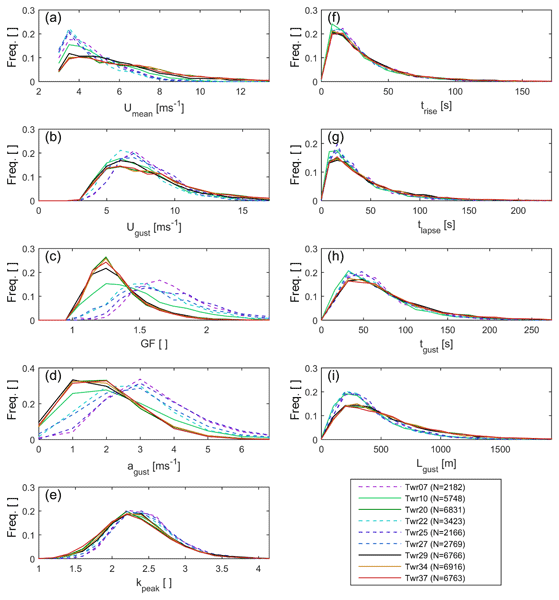 Wake properties/behaviour determine optimal turbine spacing in wind farms. The objective is to develop an automated system to measure and detect wind turbine wakes. The paper presents measurements and analyses of six months of measurements with a scanning Doppler lidar at a complex terrain site in Portugal. Wakes are successfully detected and characterized and their behavior linked to wind speed and other atmospheric conditions. Wind turbines extract energy from the flow which manifests in a region of lower wind speeds and increased turbulence downstream of the rotor, the so-called wake. Understanding the characteristics of the wake is a key challenge for wind-energy research. 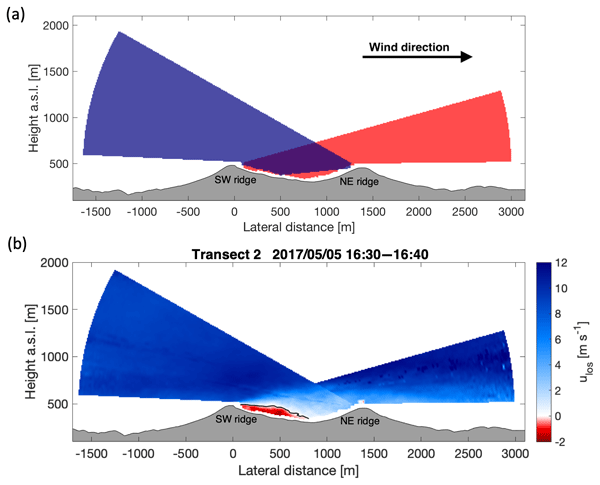 A new strategy for measuring the wind in the wake with three synchronized lidar instruments is presented. The measurement points are automatically adapted to the prevailing wind direction to achieve continuous monitoring of wake properties.